Mon., April 9, 2018, 10:55 a.m.
Anglers will be allowed to fish hatchery reared sturgeon from the Wanapum and Priest Rapids reservoirs starting April 29. The Washington Department of Fish and Wildlife announced the change Friday in a news release. “Not only does this fishery provide a great opportunity for anglers but it’s also helping our efforts to recover white sturgeon populations by reducing their interactions with these hatchery fish,” said Chad Jackson, regional fish manager for WDFW in a news release. WDFW released several thousand juvenile sturgeon into the Columbia River in the early 2000s. Those fish have grown to “harvestable size” prompting the agency to opening a fishery in Wanapum and Priest Rapids. A size restriction will target hatchery born sturgeon while attempting to protect wild fish, according to the news release. From the release: “Between April 29 and September 1, anglers will be allowed to retain two hatchery sturgeon daily that are between 38 and 72 inches (fork-length) in Wanapum and Priest Rapids reservoirs. 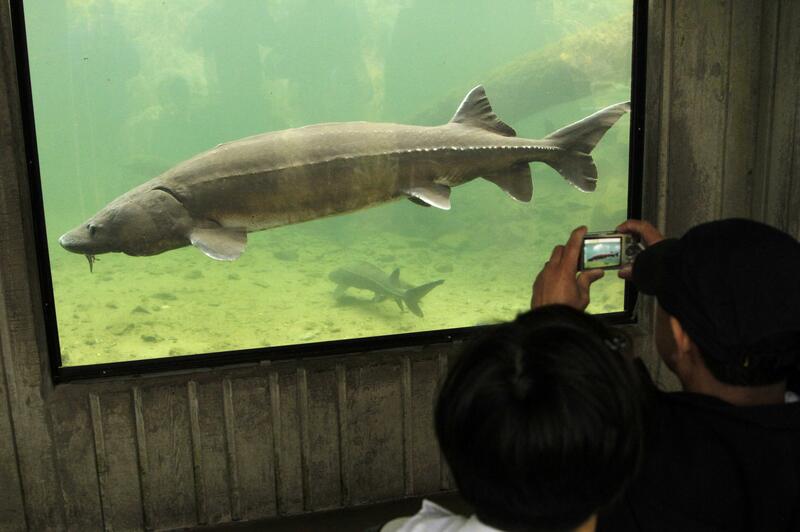 Sturgeon caught in these reservoirs will not count toward an angler’s annual limit for sturgeon. Anglers will not be required to record sturgeon harvested from the two reservoirs on their catch record cards. Published: April 9, 2018, 10:55 a.m.